Kwara state government, under the leadership of Governor Abdulfatah Ahmed and supreme leadership of the Senate President Bukola Saraki have always found falsehood peddling and public deception a major tool to dissuade the good people of Kwara state and evangelize abstract performance that was never achieved. It is seen as a political culture rather than toying with our common sensibilities as a people, he art of going on air to deliberately deny obvious truth and make accelerated attemp to replace such truth with falsehood that was carefully orchestrated by the status quo for cheap political accolades. Our state government under Governor Ahmed leadership have successfully institutionalized public deception that a significant proportion of our common patrimony that should ordinarily be channelled to other productive public projects and programmes that can better the lots of the average man on the street of Kwara state have been committed to media propaganda and deliberate deception of the public. 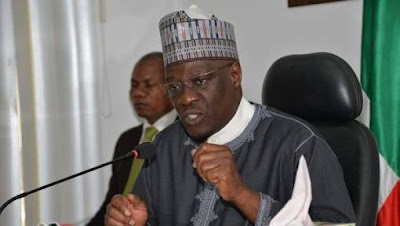 Besides the state information commissioner, about three (3) other aides were majorly appointed for the purpose of repeating the tales of the 'modest achievements' of Governor Ahmed's administration that refuses to increase and deny obvious misdoing of the Kwara state government. It is however sacred that only the truth will always stand the test of time, lirs have a very short lifespan. Kwarans who bears attestations to the turn around of Lagos, Kano, Gombe, Ogun, Osun, Rivers among others were not all residents of those states, neither do they see television documentary or listen to their respective states radio stations. The evidences of a truly performing government should be testimonies by the good people of Kwara state and not the government making the noise of unseen and unfelt performance. The people are the umpire to determine a truly performing or failed government as the case may be and not the other way round. I particularly feel so bad, understanding that the insincerity of our ruling elites is deliberate and calculated. It hurts to realize that opportunists enabled and empowered by the good people of a state will deem it appropriate and morally right to take such people for granted and play with their sensibilities by making a fool of them, lying to and against them. It is really sad! Since Governor Ahmed assumed office for Second term in 2015, our local government and SUBEB staff have been the biggest victims of lack of compassion from the state government they elected and work for. Their monthly salaries were not forthcoming and sometimes not paid at, that till date, they're still owed salaries arrears. But the same government will send advocates of lies and public deception to tell the good people of Kwara state that our local governments are autonomous and the salary crisis was solely theirs. They will even flagrantly and falsely claim ' they're owing no state government workers', when within those Evangelists of falsehood, they were sure of Kwara some Kwara state government workers' whom are hitherto underpaid and subjected to poor and dehumanizing working conditions. Late last year, we raised issues bothering on epileptic salaries payment of staff of Radio Kwara (which was the only one I was privy to), just to nullify the false claims that Kwara state government owes no state worker, but this was confronted with debunking by the Evangelists of lies, who actually knows they were owing some staff of the state. But just to create a false impression of unexisting positivity about Maigida led government. One of the few projects of Kwara state government that gulped sizeable amount of millions in Naira were committed to our state owned media outfits and the noise of a repositioned media outfit were deafening, for which we sincerely applauded. It was however an 'as usual' affair of our gluttonous government as the horses in question raised alarm of incoherence in the cost-benefit, noting that the reform in sight is far below the hundred of millions spent to reposition the media outfit, lamenting their unchanged dehumanizing working conditions. The truth that murdered one of the many lies was the workers of the media outfits protesting nonpayment of their salaries, an issue denied severally by the apostles of lies even when they know it's true. Worse still, after initially refuting the story of the protest and call for the sack of the Sole Administrator of these media outfit, they've come to tell us the protest was as a result of delayed salaries. Haba! It should be remembered that government is a tenure, but the tenure of our lifetime is longer and the reputation we have all made for ourselves will endure longer than the tenure of our lifetime. Obviously, leaders we can't take for their words ain't worrthy and should be treated as such. Kwarans have to decipher the truth and delineate it from falsehood and objectively pitch a tent with moving ahead with a government they'll all see to be performing or continue with a government that will always tell them it is performing, even when they can't fathom performance.